Reuters reports “Full House” actress Lori Loughlin was in federal court this week for being involved in a scheme of wealthy parents... ...to cheat their children into elite U.S. colleges. Loughlin was released from federal custody on $1 million bond after a brief hearing. 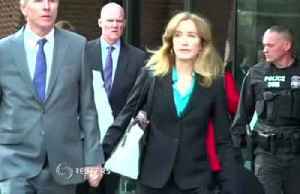 33 parents were charged in the $25 million scam, including Douglas Hodge, former chief executive of Pimco. About 50 people total have been charged with one of the largest scandals of this kind in U.S. history. During a &quot;Today&quot; appearance Tuesday, Cameron Bure was asked about her &quot;Full House&quot; and &quot;Fuller House&quot; co-star&apos;s woes. &quot;You know,.. 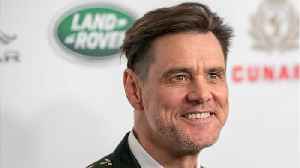 Sorry, Lori Loughlin and Felicity Huffman; you have failed to make the grade as far as Jim Carrey is concerned. Actor-artist Carrey, who routinely tackles politics with his growing body of work, turned..